SOUTH AFRICA - An outbreak of African Swine Fever (ASF) has been reported on a pig farm in South Africa. The farm in Letsemeng, Free State, reported 250 cases out of the 300 pigs susceptible. There were also 200 cases reported on a village pig farm in Mamusa, North West Province. This latest ASF outbreak was confirmed on 6 June 2016. This is the first ASF outbreak since 2012 for South Africa and the source of the outbreak is unknown. 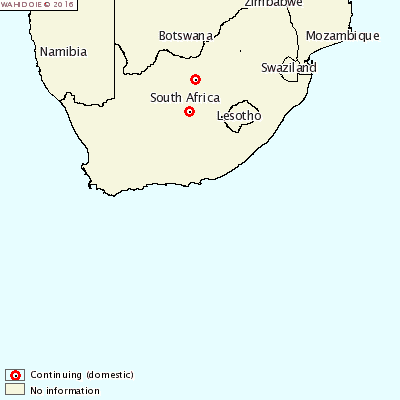 It has also been noted that these outbreaks occurred outside South Africa's ASF control zone.